Gov. Andrew Cuomo headed to Long Island to once more make his case for a permanent cap on property taxes. 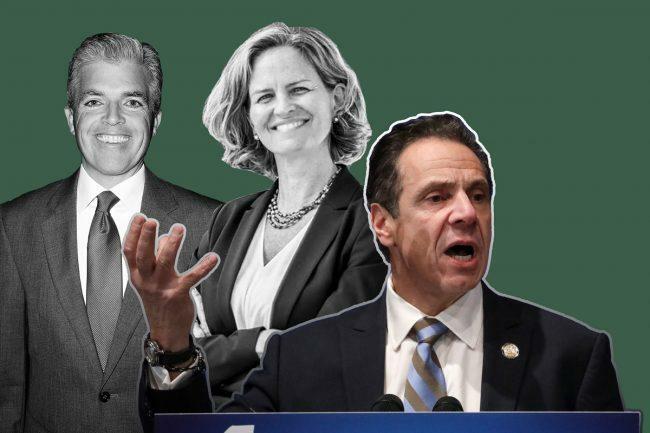 The governor spoke to state lawmakers in New Hyde Park, accompanied by state and local lawmakers including Nassau and Suffolk executives Laura Curran and Steve Bellone, State Sen. Anna Kaplan and Hempstead Town Supervisor Laura Gillen. It’s the third time in two weeks the governor has visited Long Island for the cause, Newsday reported. Nassau, Rockland and Westchester counties have the highest property taxes in the state. Westchester homeowners paid on average $17,179 in 2017, while Rockland residents paid $12,924 and Nassau paid $11,415, the report said, citing figures from Attom Data Solutions. The tax cap provision — limiting the annual percentage increase in taxes a local government or school district can levy to about 2 percent — is slated to expire next year. The State Senate has passed a permanent cap 52-8. The measure now goes to the State Assembly.